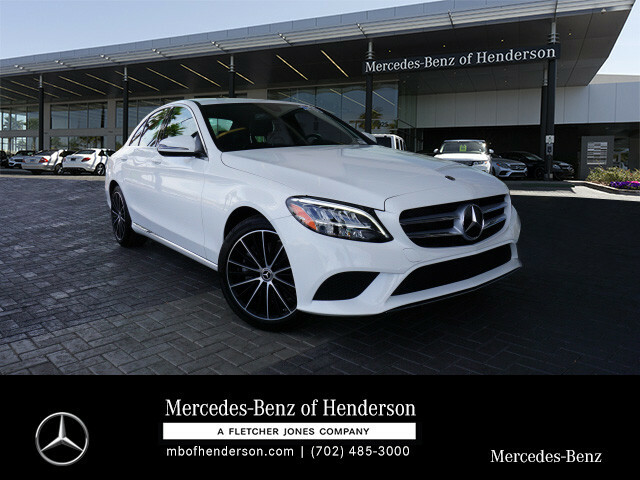 Thank you for visiting another one of Mercedes-Benz of Henderson's online listings! Please continue for more information on this 2019 Mercedes-Benz C-Class C 300 with 3,120mi. Today's luxury vehicle is not just about opulence. It's about a perfect balance of performance, comfort and attention to detail. This 2019 Mercedes-Benz C-Class is the perfect example of the modern luxury. You can finally stop searching... You've found the one you've been looking for. Just what you've been looking for. With quality in mind, this vehicle is the perfect addition to take home. This is the one. Just what you've been looking for. We have a skilled and knowledgeable sales staff with many years of experience fulfilling our customers needs. Our team will work with you to find the right vehicle at a price you can afford. Experience the Fletcher Jones difference here at Mercedes-Benz of Henderson.